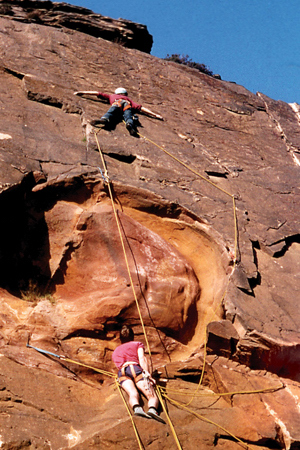 Without a doubt he’s a climber’s climber, a climbing legend and a pioneer with true grit. He rampaged around the country doing first ascents of classic routes like Linden, Caveman and Ludwig – all E6 – and then turned to winter mountaineering doing Shield Direct – the first route to be given VI (now VII, 7). The chalk cliffs of Dover amused him but the Himalaya provided a play-ground that he excelled at. The first ascent of Gave Ding in 2016 secured him his third Piolet d’Or. I first met him in the Peak District in the mid 70’s. Around that time I photographed him spread-eagled on blank rock attempting an unclimbed direct finish to Jermyn Street at Millstone. It’s still unclimbed today by the way. 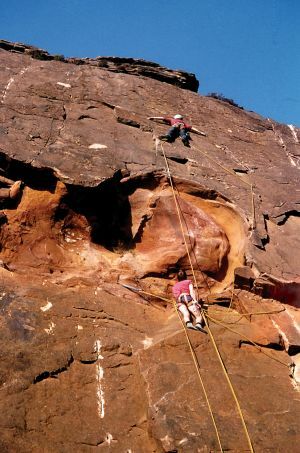 He was probing the envelope – something which he’s done on numerous occasions throughout his climbing career, a career that spans more than four decades. He’s a reluctant ‘hero’ but, without a doubt, he’s a climber’s climber, a climbing legend and a pioneer. 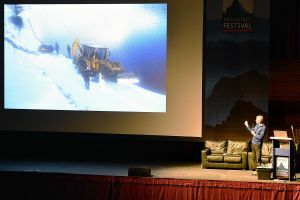 I had the privilege of listening to some of his exploits at Kendal in November 2016 and have interviewing him recently. That interview will be in the next edition of CLIMBER.